The Wonderful Story of Britain: Exploring the South Seas. 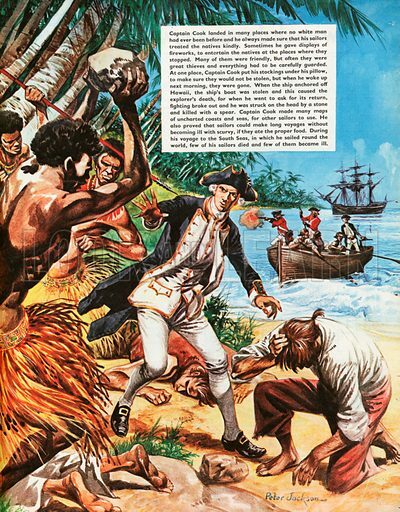 The murder of Captain Cook in Hawaii by the natives who had stolen one of his boats. Available worldwide for immediate download up to 3,533 x 4,528 pixels.